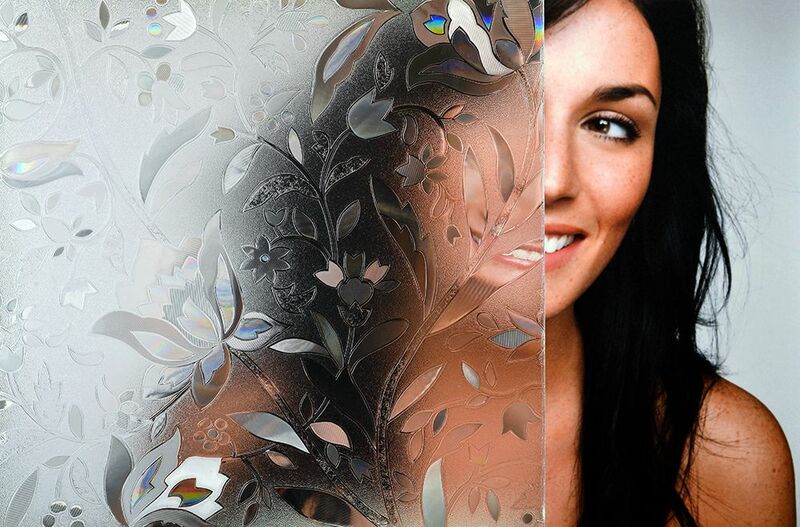 The translucent embossed vinyl film has prism facets scattering the light to look like Waterford Crystal. 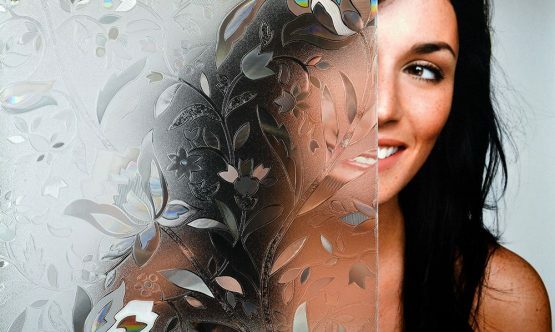 This privacy film allows excellent light transmission. 35” wide.